At last we have the Turnbull government’s naval shipbuilding plan. It claims to be the first such plan, yet the Howard government released one in 2003  and we had a de facto one from the Gillard government in 2013 . So much for corporate memory. But while it’s not unprecedented, it’s a useful document. It draws together recent announcements into a credible narrative, and provides some useful additional information about infrastructure, workforce and schedules. Yet it leaves some questions unanswered and raises others. At the heart of the plan is a four-part strategy, focusing on infrastructure, workforce, industry and national coordination. Of course, it’s not that concise, and no positive adjective was left behind. In the veil of management-garble used throughout the report, ‘workforce’ becomes ‘a highly capable, productive and skilled naval shipbuilding and sustainment workforce’. On infrastructure, some of the recent machinations surrounding ASC and infrastructure are finally explained. 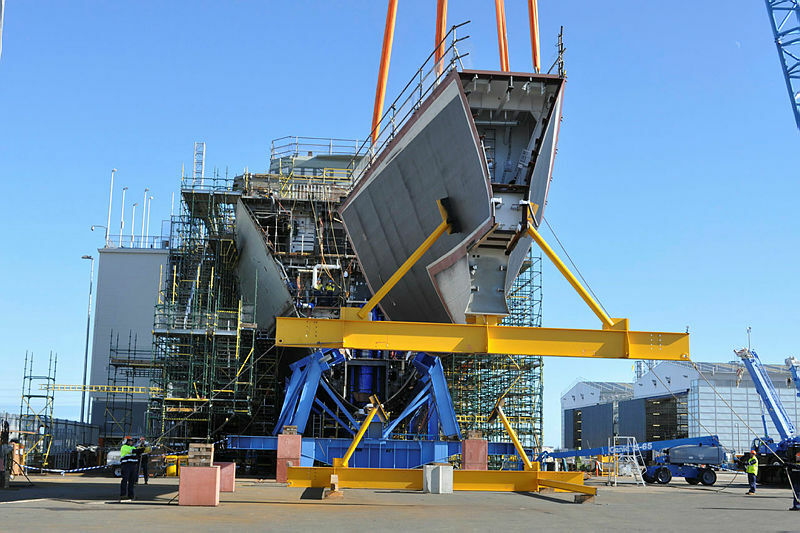 The government has decided to retain ownership of the shipyard infrastructure at Osborne in South Australia and Henderson in Western Australia that was formerly owned by ASC. One of the component parts of last year’s ASC split, now named Australian Naval Infrastructure Pty Ltd, will take ownership of those properties. And the Commonwealth will also buy out the infrastructure built at Osborne by the SA government. We think those are smart moves, especially for the SA yards. If the shipyards and associated infrastructure had been sold off to the builder of the future frigates, it would’ve created an effective monopoly that would have been hard to break in the future. We warned about such a possibility in an earlier analysis . The UK government made that mistake, and BAE now has it in an invidious position . With the local infrastructure still in Australian government hands, the build contract for future classes can be subject of a competitive process, providing at least a modicum of competition. The Williamstown dockyard in Melbourne only rates a mention as an historical note—it looks set to play no role in future naval construction or sustainment. And there’s no mention of the Forgacs yard in NSW at all. Consistent with the theme of consolidation, there’s no mention of subcontracting ship module builds in the plan—vertically integrated monopolies seem to be the order of the day for construction. There’s a lot in the plan about the workforce required to realise the vision. The bottom line is that the government isn’t prepared to leave the development of the workforce to the market players who will design and build the ships and submarines. The government is going to intervene by providing the educational equivalent of shipyard infrastructure, in the form of a new Naval Shipbuilding College based in Adelaide. Skilled workers will become government furnished equipment. We might wish that the author of those words had spoken to the IT industry about the NBN (or to a reputable economist about either) but there’s no denying that the enterprise being built will cross state and territory boundaries, and will involve educational institutions and businesses across the country. To help grease the wheels, Defence will be establishing a national consultative body. Much of the document is about the management framework, and a lot of the discussion is general. But there are also some numbers and indicative timetables in several graphics showing the timing and sequencing of planned projects. As useful as they are, they raise several questions. As expected, the Plan maintains a 2018 start for the Offshore Patrol Combatants and a 2020 start for the Future Frigates—though the term ‘cutting steel’ has been dropped. More importantly, the in-service date of the first Future Frigate is given as 2027-30. That’s one- to four-years later than the RAND shipbuilding report  (upon which the government’s plan is based), which assumed a 2020 start date. It looks as though the rumored late start to the frigate program  has been quietly slipped into the plan. Elsewhere the plan exhibits a disappointing lack of attention to detail. For example, it has the ninth Future Frigate arriving in 2038 and a two-year drum-beat of production. While they are described as ‘indicative’ dates, on face value they defy arithmetic. Similarly, by counting 1,700 submarine supply chain jobs as direct jobs, it appears to overstate the number of direct jobs produced. And the estimate of total costs uses a ratio of 30% acquisition to 70% sustainment costs—whereas the conventional 70/30 split  is based on acquisition versus all other ownership costs, including not just sustainment, but also personnel and training costs (which are appreciable). Once again, the quality of advice on industry going to the government  is questionable. Finally, on arguably the most critical issue of all—how to drive productivity in the resulting monopoly shipyards—the Plan says that ‘robust and complementary performance frameworks must be developed and reported against regularly through the National Security Committee of Cabinet’. That’s good, but then it goes on to say that the reporting will be ‘informed by advice from the independent Naval Shipbuilding Advisory Board ’. Sorry, a part-time board, half of whom live in the United States, is not going to cut it. Here’s what a proper solution  would look like. Andrew Davies is senior analyst for defence capability and director of research at ASPI. Mark Thomson is senior analyst for defence economics at ASPI. Image courtesy of the Department of Defence.